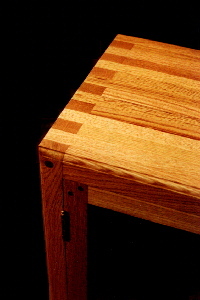 Click to see how a similar cabinet is made. Click to see HC #3. 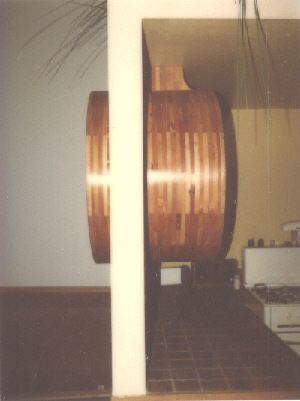 View of cabinet as seen from below. 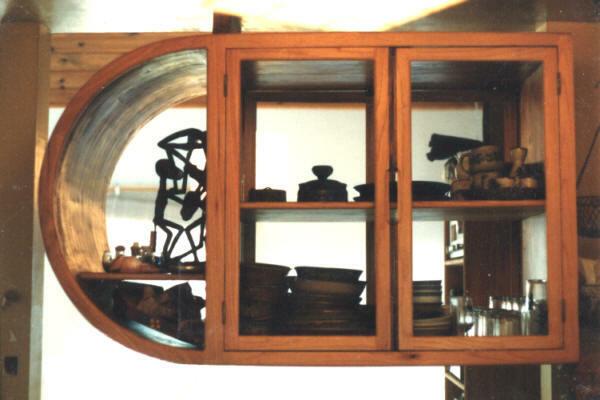 View of cabinet as seen from curved end. 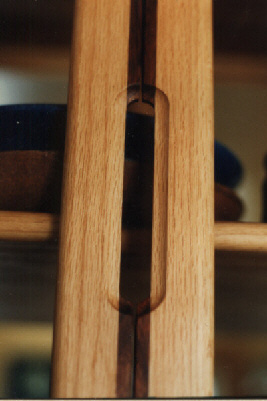 Similar casework joinery detail as seen from the top. This design was the first of several similar but all different ones I've made over the years. Like the others, it's special in many ways. It's block laminated construction, creates a pleasing look. 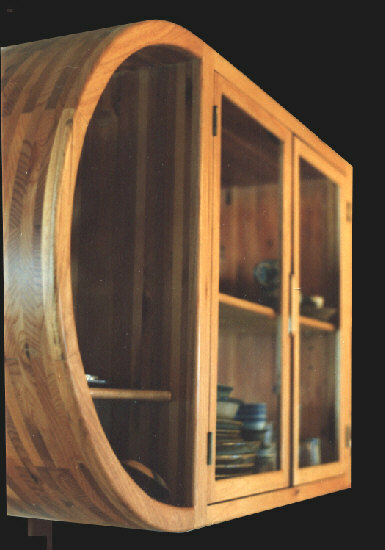 It's made entirely of white cedar and is double sided with four glass framed doors. Other woods work equally well. 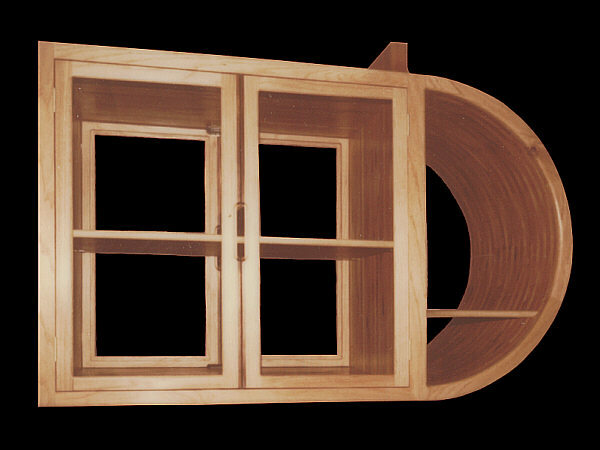 Also available as a hanging wall unit. Phone or e-mail for more details.